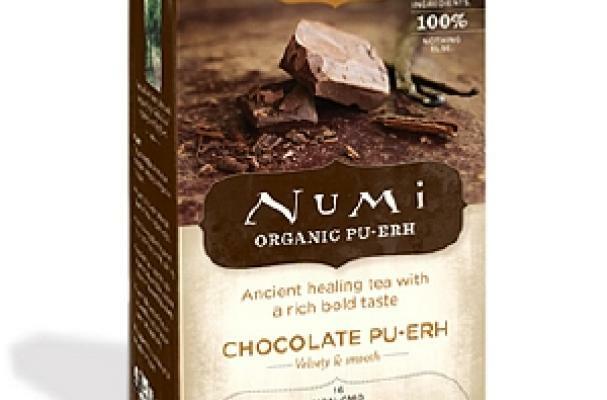 Numi organic chocolate pu-erh tea is a hot cup of chocolate without the calories. Pu-erh tea is native to China and praised for its numerous health benefits. The tea bags are filled with a blend of pu-erh tea leaves, cocoa nibs, whole vanilla beans and orange peel. Nutmeg and cinnamon add a spicy finish. For a richer cup of tea, you can add a couple tablespoons of almond milk. Numi Organic teas can be purchased at your local market or health foods store.